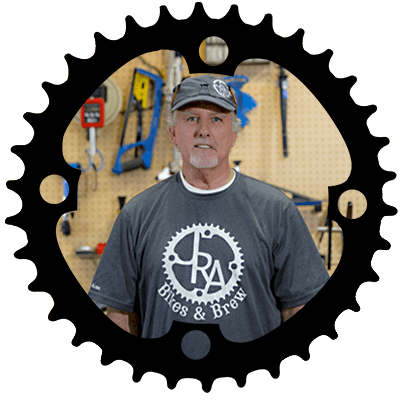 Mike, brings 5 years of experience as a bicycle mechanic and sales representative. His passion for bikes began when he retired after working 30 years in the insurance industry. During that time Mike seriously began running and bicycling, which eventually turned into competing in triathlons and working in a bike shop. He then received a bicycle mechanics certification from the United Bicycle Institute. Mike finds the bicycle industry to be both rewarding and very gratifying. He loves helping people, working on bikes and focusing on giving each customer a positive bike shop experience.